While there’s plenty of showmanship and tricks, this story lacks magic. 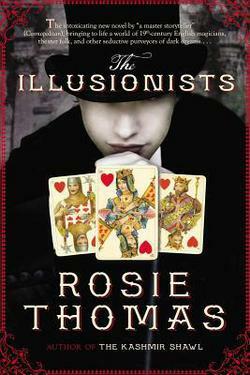 I loved Water for Elephants, so I was excited to read this book. Now I struggle to give it 3 stars. It’s not that I can state a specific flaw – but the seemingly endless page fillers left several situations unresolved. Not that resolution to any of them would’ve changed the story. Devil Wix is an interesting enough guy, but it felt to me as if the author was always “trying” to make him seem “devilish.” Eliza comes from a lower middle class family and wants to create a life for herself within the theater and build a love with her leading man, Devil. There are sparks between these two, but not enough to carry the entire novel and a whole theater troop too. With what’s here, this would’ve been much better cut in half and published as a short story.